Lech Lecha – What is in God’s “Will”? New Covenant? In Genesis 15 we read about God\’s promise to Abram (Later he becomes Abraham). God takes Abram out to look toward heavens and "count" the stars. In the Book of Formation, written by Abraham, he reveals the knowledge God gave him during that event. God showed him the structure of the spiritual system and the ten sefirot. Abram asks God "whereby shall I know that I shall inherit it?". Why did Abram question God about this? Didn\’t he believe God, when he was at his presence? The answer is that at that moment Abram realized that he was responsible for whatever happens in his life. The "stars" and the spiritual system showed him a different future. His question was correct and in place. God didn\’t delay the answer and immediately instructed Abram with a strange request. "Bring me a heifer עֶגְלָה, a goat וְעֵז and a ram וְאַיִל, each three years old, along with a dove and a young pigeon". The English translation talks about three years, in other places there are other translation/interpretations. The important point here is that there are 3,3,3 elements. Together 9 + 2 (dove and pigeon). The tree of Life has three triangles + Malchut at the base. So here we have 9+2=11 elements. We know that there are 10 Sefirot so what is the connection here?. Abraham in Sefer Yetzirah (The Book of Formation) tells us that there are 10 sefirot and NOT nine, and then he continues, 10 and NOT eleven. The structure of the Tree of Life has 10 sefirot. When the light flows through the tree of life there are 11 sefirot which are active (Including Da\’at) and 9 sefirot(Malchut in the dark) when they\’re not active. All elements split in the middle to give opportunity to Abram to connect them together. This is the point where Abram has established his channel to the sefira of Chessed. In the continuation of the chapter, God reveals the future to Abram. All the elements in this story are deeply coded but we can find few key elements that connect to the future. The word "פְּגָרִים" (carcasses) has the numerical value of 333 and "עַיִט" (bird of prey) is 89. Together we get 422 (the value of the word "שבעים", seventy). By adding 2 for the kolel we get 424, which equals to Mashiach Ben David. The great Torah commentator, Rashi, comments on this verse (15:11) for the word "וַיַּשֵּׁב" (=318) that it implies to The Mashiach. Abram was 70 during that event. He was born in 1948 (Hebrew Calendar) and the covenant was 70 years later in 2018. In his book "The Divine Calendar", Jeff (Ezra) Meiliken writes about the connection and parallels of the Hebrew and Gregorian calendars. Interesting point is the nation of Israel had declared its independence in 1948 and 70 years later; in 2018 we expect to see a great revelation of the Light and may be a new covenant with Mashiach presence. Author Zion NefeshPosted on April 20, 2009 September 12, 2009 Categories Genesis, Torah4 Comments on Lech Lecha – What is in God’s “Will”? New Covenant? Genesis – 613+7=620. Do You Get It? The divine letters behind the word " בְּרֵאשִׁית" are "אבגיתץ". The first word means "In the beginning" and the second has the energy of unconditional love. I commented on this in several of my commentaries to the Torah. This week we start reading the Torah from the beginning. The truth is that we are not repeating the Torah because it is the channel of the Light to this world and as such year 5769 is different from 5768. The Torah reveals new and different light. When I read the beginning again today I understand new things. It is not the same Torah, the light is different and unique for this year. This year the story of creation tells me a similar story but with different focus. The first Mitzvah is "Be fruitful and multiply". What does it mean in the global level? The book of Genesis is related to the level of Keter. (Exodus = Chokmah, Leviticus=Binah, Numbers=Zeir Anpin and Deuteronomy=Malchut). There are 613 Mitzvoth in the Torah that are observed by Jews and seven by noahides. Together they count to 620. As we know 620 is the value of the word Keter, which is the seed level of creation, the cause of everything. "מצוה" (Mitzvah, precepts) translates to the Tetragramaton when we convert the first two letters to their At-Bash value, מצ in את־בש gives יה. When we unify all together as one in front of the creator we can connect to Keter. In my commentary to Behar we found out that your neighbor is your brother. Love him even if he is not going to the same house of worship nor has a different name or symbol on his door. The first day of creation is described as "יוֹם אֶחָד" (day one). One in Hebrew has the same numerical value of "אהבה", Love. It is not called "First day" but day ONE for the oneness and completion in it. The cause and thought of creation was reflected on the first day and it was Love (unconditional love). Keter is the power behind the Aleph of "אבגיתץ". This is the force that pours love to us and sustains us. Looking at this simple equation (613 +7 = 620) we learn only one thing. UNITY. LOVE (Unconditional Love). Let\’s start again and this time remember that our future depends on love among all, unconditionally. Author Zion NefeshPosted on April 20, 2009 October 18, 2011 Categories Genesis, Torah5 Comments on Genesis – 613+7=620. Do You Get It? וְיִשְׂרָאֵל, אָהַב אֶת-יוֹסֵף מִכָּל-בָּנָיו–כִּי-בֶן-זְקֻנִים הוּא, לוֹ; וְעָשָׂה לוֹ, כְּתֹנֶת פַּסִּים. Now Israel loved Joseph more than all his children, because he was the son of his old age; and he made him a coat of many colors. According to the Zohar, Joseph was the first born, because when Jacob consummated his first marriage he was thinking of Rachel while Lea was there. That connection to Rachel on the spiritual level created the spiritual essence of the first born with Rachel. When Joseph was born, the energy of the first born was revealed through him. Jacob also knew that Joseph would continue the flow of his energy, central column, Tiferet to the world and establish the sefirah of Yesod. That was his great love. Here love is in the meaning of affinity and unity. Years later after they met in Egypt, Jacob manifested this connection when he asked Joseph to place his hand under his thigh (Genesis 47:29). That act connected Tiferet and Yesod. Back to Joseph\’s clothing; many different translations are available for Joseph\’s coat and I won\’t get into that. Just forget the translation, it is good for a movie script but not for the Holy Bible. The words כְּתֹנֶת פַּסִּים literally translate to garment of Stripes but the code word here is פַּסִּים. This word is a code for four higher angels. Those angels are also created during the blessing of the priests, Kohanim . The numerical value is 190 same as "צִיץ" (צִיץ הַזָּהָב נֵזֶר הַקֹּדֶשׁ) a special Holy crown that the High Priest put on His head to be able to draw the light to the world. When the brothers wanted to take over Joseph, it said; "וַיַּפְשִׁיטוּ אֶת-יוֹסֵף אֶת-כֻּתָּנְתּוֹ, אֶת-כְּתֹנֶת הַפַּסִּים אֲשֶׁר עָלָיו" "that they stripped Joseph of his coat, the coat of many colors that was on him". Notice the mention of two coats. The first was his material coat and the other one was the spiritual coat. The brothers had awesome spiritual powers and all of them could control the protection that Jacob made for his special son. It is important to know that each one of us has spiritual clothing, which is made with the energy we create with our actions. If we act negatively, we create clothing that invites trouble and chaos. Positive actions create clothing that will protect us when we need it. The brothers did remove the protection that Jacob gave Joseph but they couldn\’t take away Joseph\’s own protection and that is why he had success in all he did. In this part I want to stay at the time (if we can call it that) before the creation. The Zohar and the Ari teach us about this time. The word " בְּרֵאשִׁית ", "In the Beginning", implies " ב " " רֵאשִׁית ", which means two beginnings, two heads, and two systems. The Zohar and the Ari teach us about this time. The word ” בְּרֵאשִׁית “, “In the Beginning”, implies ” ב ” ” רֵאשִׁית “, which means two beginnings, two heads, and two systems. The first thing in the creation process was to set up the spiritual system. It had to be there before creating the physical world. In order to have a world that we could be the creators we needed a “working environment”, where we could build and create new. This place or level is called Malchut, (kingship in English). As Rabbi Ashlag explains, G-d created the desire first. Desire was something new that had never been there. G-d only shares and loves. The desire was to receive, to rule, to make. We needed this desire as a tool to live in this world and be a creator. The kingdom was for us to rule. For that G-d made a Crown (Keter in Hebrew) that is able to emanate the necessary powers to initiate and create changes in the world. G-d also designated two ‘feeds’ or ‘advisors to the Crown’ to follow the initiative of the Crown, one with Wisdom (Chokmah, male energy) and one with Understanding (Binah, female energy). When they summoned together they brought out the Knowledge (Da’at) that can channel the energy and manifest as new work. Now that we had the potential kingdom, and the top three forces, G-d needed a king. The kingdom was still full of light and there was not much work to do. Kings were created and then ‘died’. The code is concealed in Genesis (36:31). This process is described in Kabbalah as the “Process of the Breaking of The Vessels” ” תהליך־שבירת־הכלים “. (Vessel=the ability to hold and channel the light). Each one of the kings came to existence with the desire to rule but the amount of light that was there was too strong for their vessels to hold and so they broke. The light went back to its origin and what was left was the desire of the shattered vessels. Those desires are called Klipot (Klipa in singular form). The Klipot held onto some of the light that the vessel had contained in a brief moment. The 7 kings came and went and left 288 sparks of light in the hands of the Klipot. This information is concealed in the word (Genesis 1:2) ” מְרַחֶפֶת ” ” מת־רפח ” (= Died, 288). This process created the world of correction, ‘Tikkun’. The tikkun is the process of taking back the light from the Klipa and elevate it to the source. Originally, there were 320 lights in the process. 288 ” רפח ” of them fell into the Klipa and 32 of them that are the light of the Torah stayed for the next process. The words ” תֹהוּ וָבֹהו ּ “, “unformed and void”, have seven letters for the seven kings. It is all about desire. Desire draws the light and gives us the energy to continue. Lack of desire could make a person homeless and in extreme cases, the soul that is made out of light, wish to disconnect from the weak vessel and cause the vessel to break by taking its own life. The soul then goes to seek another vessel. If this information is too new to you and hard to understand, read it again and again. Email your questions because of understanding how and why the world was created is an important step. What is our purpose here and what is your individual purpose in life. This understanding could connect you to the global GPS (see previous article:http://rabbishimon.com/rs/torahc.cfm?p=Ekev ) and take your desires to fulfillments without breaking the vessel. but his father kept the saying in mind. The story of Joseph is one of the most famous Bible stories. The young dreamer with a special striped cloth who was sold to the Egyptians and eventually became the second in command in powerful Egypt . In this parasha, Joseph merits the title zaddik, as he is called Joseph HaTzadik (Joseph the righteous). The Zohar explains that is because he didn\’t submit to physical desires and refused to connect to his master\’s wife. He was put to jail and got out because of his words. Joseph interpreted dreams of people in the jail and whatever he said actually happened. Genesis 40:22 " וְאֵת שַׂר הָאֹפִים, תָּלָה: כַּאֲשֶׁר פָּתַר לָהֶם, יוֹסֵף " "But he hanged the chief baker, as Joseph had interpreted to them". And as chief butler testify later (Genesis 41:13) " וַיְהִי כַּאֲשֶׁר פָּתַר-לָנוּ, כֵּן הָיָה: אֹתִי הֵשִׁיב עַל-כַּנִּי, וְאֹתוֹ תָלָה " "And it came to pass, as he interpreted to us, so it was: I was restored unto my office, and he was hanged.\’". The power to manifest from spiritual to material is in the mouth. When Jacob heard Joseph\’s dreams he knew exactly what it meant. He knew that Joseph was going to be the channel to the Sefira of Yesod and by that would continue the light of Jacob, Tiferet to Malchut. Jacob knew that the light and sustenance to the world would come through Joseph. When is says "His father kept it", it means that his father protected it by giving it the right interpretation. If we remove the form of questions from the verse 37:10 we read " מָה " it represents the name of G-d at the level of Malchut. " הַחֲלוֹם הַזֶּה אֲשֶׁר חָלָמְתָּ ", is "the dream that you dreamed". " הֲבוֹא נָבוֹא, אֲנִי וְאִמְּךָ וְאַחֶיךָ, לְהִשְׁתַּחֲו‍ֹת לְךָ, אָרְצָה " "I and your mother and your brothers indeed come to bow down to you to the earth". Jacob at his level saw the future and supported it by bringing out the proper interpretation to make sure the dream will come true. Few important things to know about dreams. Do not tell a dream to a negative person. Tell the dream only to people that love you and can see the positive in the dream. Dreams have spiritual symbols and only spiritual people can interpret them properly. If you see in a dream that you are captured by a police or a soldier it means that you are protected. Most people follow earthly logic that you can not apply to spiritual messages. Dreams have about 60th part truth. The dreams that we have during the day or after first light of the morning (when you start see bluish color in the sky) do not carry real message unless the dream comes on Shabbat. Better to tell the dream immediately in the morning after, especially if it has a strong and vivid impression. Dreams that happen after you go to sleep late and tired should be ignored. If a dream gives you bad feeling then after you wake up say " חלומות־שוא־ידברו " "Chalomot Sha-v Yedaberu" which means "dreams talk no value" and do not tell it to others. In extreme cases there is a spiritual process of dream cancellation. Ask your Rabbi. The Zohar explains that at that time the people had the ability to use the Holy language, Hebrew, to create material things. They were in unity and wanted to connect to the left column and draw direct energy without using the right column energy and going through the process of earning the light. They found a spiritual place ” וַיִּמְצְאוּ בִקְעָה בְּאֶרֶץ שִׁנְעָר ” ” they found a plain in the land of Shinar “. ” בִקְעָה ” (plain), in Hebrew ” ה – בִקְעָ “, means a rip in the letter ” ה “. They wanted to split the energies coming to this world and have their own system like G-d. ” שִׁנְעָר “, the name of the place has numerical value of 620, which is Keter, the highest Sefira that everything emanates from it. G-d did not allow it because it would’ve created a complete destruction of the world. The only way was to mix the language so their words will not connect to the correct energies that gave them the forces to create. The Hebrew letters has the power of creation. We don’t have now the full power of the light behind the Hebrew, but when used properly with positive consciousness it can create new realities. The language of the Zohar has the power to change us and the world around us. The more we connect to it, the more light we receive and it helps to remove darkness from our lives. This section is Reader’s questions and answers. G-d does not punish. Who was going to destroy who in the great flood? If all humanity was destroyed except those on the ark, shouldn’t we be more interested in Noah rather than Adam? You can make the case there is more of Noah in us than Adam? The Zohar explains that “water always alludes to Torah” What’s the connection with the Flood? . Like the Torah, water has the energy of Chessed, Mercy. The flood purified the world from the negativity and on the physical level the water is polluted and even though you can see them as clear, spiritually they are contaminated like the water you gather after washing the floor. What is the significance of the different sizes (midot) of the Teiva? With simple calculations of the measurements of the Ark, we find out that it was impossible for Noah to fit into the Ark with all that he was suppose to bring in. The measures are related to spiritual energies that are connected to the building of the Ark. The word for Ark in Hebrew also means “Word”. Their protection was with the Hebrew words. Were the sons of Noah triplets? It is not really clear from the Torah. The Zohar says that the sons of Noah were one in the spiritual state and then split into three souls to represent the three column system as described above. Author Zion NefeshPosted on April 20, 2009 October 23, 2011 Categories Genesis, Torah2 Comments on Noah – What language? Rabbi Shimon in the Zohar (Behaalotcha) curses every person that relate only to the stories of the Torah. He says that a simple person can write more exciting stories to entertain the people. The Torah is a code, a guide for us to seek and study in order to connect and draw its light.
" בְּרֵאשִׁית, בָּרָא אֱלֹהִים, אֵת הַשָּׁמַיִם, וְאֵת הָאָרֶץ וְהָאָרֶץ, הָיְתָה תֹהוּ וָבּ "
Genesis, below it is the name used for the creation, and the translation to English. The big difference is that the world was created with the Hebrew letters, not English or any other language. It is important to know and remember that. In order to understand anything beyond the simple story of genesis or the Torah, we need to connect to and understand the Hebrew Letters, then the Hebrew words, then the Hebrew story. A kabbalist can read the character of the person from his face. He can also tell what month he was born. The inner energy is revealed on the surface through the face and the palm of the hand. (G-d willing I will post some articles about palm and face reading in the future). It is a language by itself. So is the Torah. Throughout these series of Genesis articles I will try to guide you through the understanding of the different codes and symbols in the Torah. The first word of the Torah is " בְּרֵאשִׁית ". Rabbi Shimon wrote the "Tikunei HaZohar", which are seventy discussions about that first word. The Hebrew meaning of the name is "Corrections of the Zohar". The purpose of those writings is to establish a support to the Shechina (the Female aspect of the Light of the creator) and to allow continuous flow of the Light to this world. As Rabbi Shimon explains, it is because of the seven sefirot of the physical realm (Chessed through Malchut). Each one has the ten dimensions (Sefirot) for a total of 70. The Torah existed 2000 years before the creation of the world and when G-d came to create the world he used the Torah as a blue print. The seventy faces of the Torah are reflected in the creation process. The seven days of creation forms the Seven Sefirot and before we start explaining each day\’s process and energy, we will go back to the time (if we can call it as such) before the creation and even before the thought of creation came to be. Why G-d created the world? As we mentioned earlier the Hebrew letters existed before creation. They held our souls in the spiritual state. G-d was giving us all that we had. We had a continuous flow of light that sustained us without any limit. One day, the souls pushed the Light away. They wanted to be like G-d. They felt what is called in Kabbalah, the "Bread of Shame" or as is known in Aramaic, "Nahama Dichsufa" and in Hebrew " לחם־בזיון ". To understand this, imagine that your father is the richest person in the world and all your desires are fulfilled instantly and unconditionally. You reach a point that you feel a drive to be like your father. Like your father, you wish to give and not to receive. Now even if your father tries to persuade you that you do not need to work for eternity, you still can\’t live with the shame that you are supported and dependent. You want to be a creator of your world by yourself. So it goes to a point that you want to leave home. But home is actually everywhere. Everything around you is still owned by your father and he already did all the work. There are no jobs available for you to work and build. You say to your father, "Stop! I don\’t want to receive from you any more. I want to earn everything I need or want. At this point your father feels your strong desire and with great love he builds you a unique biosphere, one that has only the basics. You need to build all the rest from the ground up. In order to give you the opportunity to be a creator like him, he hides himself from you and even takes the memory of him out of you so you can have a real fresh start to work and earn your right to be a creator of your life. This is the cause of creation. G-d created the world for us, for our benefit. His creation gives us the opportunity to be creators, to be like him, to be like G-d.
" אֲשֶׁר-בָּרָא אֱלֹהִים לַעֲשׂוֹת "
"Which God created to make." The beginning word is " בְּרֵאשִׁית ". The code behind this word is the six letters of the 42 letter name, " אבגיתץ ". The energy of this word is " אהבת־חנם " "unconditional love" and redemption. This is the power and seed of creation. G-d is only love. The 42 letters of the Torah Genesis 1:1, begins with " ב " and ends with " ב " (see the verse at the beginning of the article). This letter is the beginning letter for blessings " ברכה " and as it is spelled out " בית ", means a house. 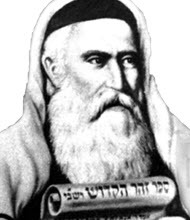 One of Tikunei HaZohar explains " בְּרֵאשִׁית " in the form of " ראש־בית ". The same letters mean "head of the house". The 42 letters of creation begins with " א " and ends with " ת ", which are the beginning and end letter of the Alef-Bet to signify the perfect order of creation. G-d created a house for us with love and we need to work and earn everything to fulfill our goal in life. If we don\’t earn it, it is not ours. That was the condition of creation which we wanted to have and we should accept and follow it in every action we take. If you are poor and have a difficult life, it is part of the process and you should be happy that you have harder work than others. If you are a zillionaire, you have more responsibility and more people to take care of and be a creator on a larger scale. There is no rest until Mashiach comes. Today, Amen. In my commentary to Behar (http://rabbishimon.com/index.cfm/feature/124) we found out that your neighbor is your brother. Love him even if he is not going to the same house of worship nor has a different name or symbol on his door. Author Zion NefeshPosted on April 14, 2009 Categories Genesis, TorahTags Torah CommentaryLeave a comment on Genesis – 613+7=620. Do You Get It? Darkness, Light, Mashiach OR Darkness, Mashiach, Light OR? וַיֵּצֵא הָרִאשׁוֹן אַדְמוֹנִי, כֻּלּוֹ כְּאַדֶּרֶת שֵׂעָר; וַיִּקְרְאוּ שְׁמוֹ, עֵשָׂו. וְאַחֲרֵי-כֵן יָצָא אָחִיו, וְיָדוֹ אֹחֶזֶת בַּעֲקֵב עֵשָׂו, וַיִּקְרָא שְׁמוֹ, יַעֲקֹב; וְיִצְחָק בֶּן-שִׁשִּׁים שָׁנָה, בְּלֶדֶת אֹתָם. "When the time came for her to give birth, there were twin boys in her womb. 25 The first to come out was red, and his whole body was like a hairy garment; so they named him Esau. [e] 26 after this, his brother came out, with his hand grasping Esau\’s heel; so he was named Jacob. [f] Isaac was sixty years old when Rebecca gave birth to them." I will bring a few different points, and later will tie them together to reveal deep secrets. Isaac prayed for his wife to have children and God answered his prayers. Now Rebecca is about to give birth to twins, but they are too wild in her womb. Out of fear she calls on God and God explains that out of her womb two nations will split. Now let\’s go back for a moment to another issue. We know that Abraham didn\’t bless his son. Why? Did he forget? No. Did he not have enough blessings to transfer to his son? Yes. Abraham established the chariot (Vehicle) of Chessed (Loving Kindness). Isaac is the left column (Gevurah) and as such he has an enormous power to draw light. This power was received when Abraham bonded Isaac, with the highest act of judgment (Din) in the famous event on the mount of Moriah. That event also created the relationship and dependency between Chessed and Gevurah. A blessing of Abraham to his son will "corrupt" this delicate connection. God showed Abraham the future and the evolution of his seed from the covenant to the final redemption. Therefore he knew that Jacob (chariot of Tiferet, central column) would come out from Isaac. Rebecca has numerical value 307, which is רבה= Light, אור, 207 and ק, the only Hebrew letter that goes below the writing line. The significance is that it fed the negativity and allowed Esau to grow in her. That made her the best channel to bring Jacob to the world. But there is one important spiritual law that must be obeyed to bring the highest light out of Jacob. This law says that the greater the light, the greater the concealment of this light. The word וַיִּתְרֹצְצוּ (Genesis 25:22) means running around. It tells us the fight that the two boys were going through in Rebecca\’s womb. The letters רֹצְ in the middle also represent the cause of this fight. It is the middle two letters of the 42 letter name of God that represents balance and connection to the Light of the creator at the root level. Also the first 4 letters "וַיִּתְר" means to give up, as Jacob gave up and let Esau come out of the womb first. He had a very good reason to do that. Those 4 letters are also numerically equivalent to "The Torah" "התורה". Jacob was "אִישׁ תָּם", meaning complete, without a blemish. His birth and future actions will prove his significance of bringing balance to the whole existence. He established the central column, without which, the world was still unstable. Jacob has the attribute of Truth "אמת", which is related to the central column and the seal of God. The Torah mentions that Isaac was 60 when Jacob was born. As you know the number 6 represent the work (and work of creations) and the 7th is the completion, the rest. Like Shabbat comes after 6 days of work. Jacob knew that the future is more important and he gave in to Esau to come out first but not before he held onto his heel, עקב = עב, 72 (for the 72 names of God) and ( ק) took back control of what allowed Esau to grow inside the womb with him. Jacob\’s mission was to stay behind and let Esau lead but without the Light. You can find another hint or reference to that at (33:14). It\’s too long to explain this part here but the idea is the work before the peace or rest or finally Mashiach. Why great light comes out of negativity is a big question. The answer is quite simple. Since God created this world for us to make (work), then there must be an "earning" process. We cannot have the light easy. A fight with negativity must exist before any kind revelation of the light. A few examples are, Eve and the Snake for the fight to reveal the existence and the "work to earn the world". Sodom and Gomorrah, Lot and His daughter and the seed of Mashiach. Abraham and Efron in order to have control over the connection to heaven (the Garden of Eden) in the cave of Machpelah. Here we have Esau and Jacob for the central column, then Jacob "earning" the blessings of the first born. There are many more. The seed of creation concealed within the first 42 letters of Genesis. "In the beginning God created the heavens and the earth. Now the earth was formless and empty,"
The words "תֹהוּ וָבֹהוּ" means chaos in Hebrew. The 42 letters ends before the word for chaos is completed "ה תֹהוּ וָבּ". Why is that? What is hidden here? Now if we take the last 6 letters or the 42, which represent the last line of the Ana B\’koach we find out that the numerical value of it is 424. You got it right. It stands for Mashiach ben David (Messiah the son of David). We see that God created Heaven and Earth and all was chaos and darkness and abyss. Then it says "and the Spirit of God was hovering over the waters." The spirit of God referred by the Kabbalists as the spirit of Mashiach. Only after that the command to bring the light out was given. Mashiach was there before the Light came to be.!!! The world today is in a very volatile state. No strong leadership or no leadership at all. Small forces of negativity (Terrorist groups, Pirates, Greedy bankers and others) can have control and bring down big governments. America with all of its mighty army, technology and money cannot bring peace to a small country like Iraq or other places around the world. Throw a dart on the global map and you will hit a place with some form of chaos. I bring this out in order for us to understand that there is the big plan of the Creator is in process. Current world chaos, which grows almost on a daily basis is actually a blessing for us to see that a great light is about to be revealed. I hear the world crying and the pain is growing. People lose their jobs, lose their houses and bank savings to negativity. The tears of the widows and orphans of wars around the world could fill up oceans. The pain and witness to and the suffering is there to us know that there is hope. Let us all pray for the end of chaos and that we will see Mashiach, Today, Amen. Author Zion NefeshPosted on April 14, 2009 Categories Genesis, TorahTags Torah CommentaryLeave a comment on Darkness, Light, Mashiach OR Darkness, Mashiach, Light OR?